"... to foster opportunities for people to grow in their love for Jesus Christ and to respond to Christ's love through a life of service." The mission of the Msgr. Charles Kelly Faith Formation Forum is to foster opportunities for people to grow in their love for Jesus Christ and to respond to Christ's love through a life of service. The Forum gathers people into a community which is dedicated to life-long faith formation, rooted in the Word of God and the Catholic Tradition. By bringing insightful and prophetic voices to the Richmond area, the Forum inspires participants by deepening our understanding of the Gospel, connecting our faith to the important questions of our day, and encouraging believers to witness to Christ through a life of service and justice. 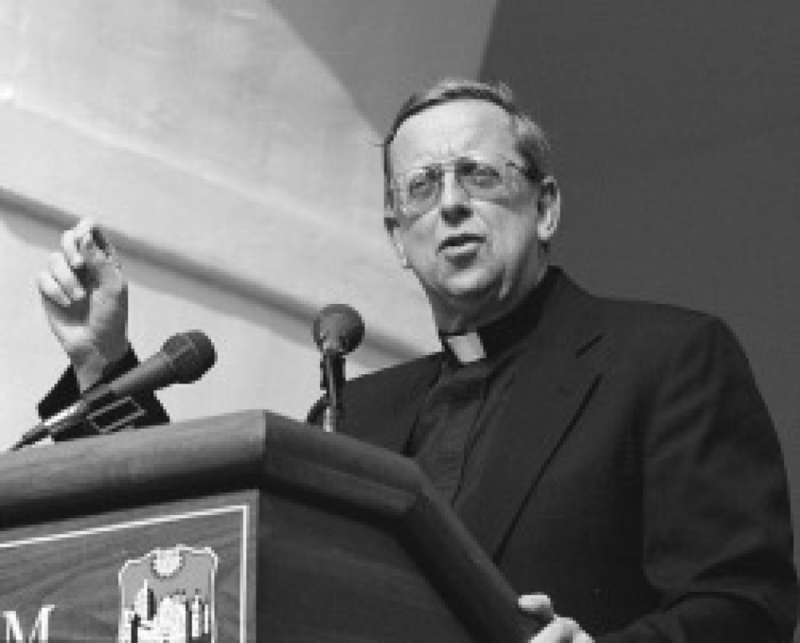 The Forum seeks to continue the generous ministry of Monsignor Charles A. Kelly (1942-2001), who was a priest, prophet and pastor. Born and raised in Richmond, Msgr. Kelly attended Benedictine High School. He completed his theological studies at the North American College in Rome, and was ordained to the priesthood in 1967. After serving in a number of diocesan offices, he became Vice Rector of the North American College. In 1979 he was named pastor of St. Mary Parish in Richmond, and he led the community in the building of a new worship space. He later served as campus minister at the College of William & Mary, Vicar for Vocations and rector of the Cathedral. Throughout his priestly ministry, Msgr. Kelly was known as a man whose preaching nourished hearts and minds. Through his teaching and example, Msgr. Kelly called upon every baptized believer to live a life worthy of the Gospel. The Forum hopes to lead participants to become, in the words of Msgr. Kelly, "the people who have seen - and become - the light of Christ!" See the upcoming programs being offered.